How to reduce your insurance. I'm wondering if there are any cost effective tips to reducing my insurance. Having seen a small increase in my renewal, I'd like to know whether additional training would result in lower premiums. I am instrument rated and fly a tricycle gear plane but do tailwheel or commercial endorsements count as credit towards lower premiums? It would be satisfying to get additional instruction if there was an annual dividend in my insurance premiums. Talk to your insurance agent or company to know for sure. When I inquired, other than hours and IFR, nothing else mattered. Insurers didn’t care if I completed commercial rating or anything else. So it wasn’t worth continuing for a pure insurance basis. CharlieWaffles - But you can call me "Mark"
When I got my commercial I was dismayed to find it had no effect on my insurance. In fact I didn't see much from my instrument either. Besides more hours, about the only thing that has successfully had an impact on my rates was incessant complaining and threats to cancel the policy. I can't imagine it's any more fun for them than it is for me. It would be satisfying to get additional instruction if there was an annual dividend in my insurance premiums. The dividend from additional instruction is the increased safety of you and your passengers! While it would be nice for the insurance to recognize and reward that, you should do it for yourself regardless. I flew for years on my own, crawling out from under a rock every 2 years for a BFR and then zooming back into oblivion. I flew fine, but I wasn't getting any better. Then I got married non-aviation lady and had kids. Not knowing any better, they would tell me "You're such a good pilot." I decided I wanted to be as good a pilot as they thought I was. I started training, adding ratings, etc... and quickly found out how much I didn't know. Get the commercial. It will make you a better pilot. And if they insurance company blesses you with a lower rate, well that's a bonus. "The dividend from additional instruction is the increased safety of you and your passengers!" Very true! I did see a reduction in my premiums for IFR but the main benefit was in the improvement in my competency and knowledge. I'd advise anyone to take that step. 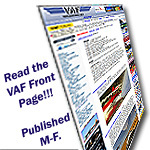 If you haven't already, check with Gallagher (VAF advertiser). My premium dropped nearly $300 after my first year. I am a low time (250ish hrs) but flew close to 150 in the past year on just my PPL; no IFR or other ratings. "The object of the game, gentlemen, is not to cheat death: the object is not to let him play." Drop the hull coverage and get Liability only. Another option would be hull coverage "not in motion" in case you get damage on the ground tied down over night away from home. IF there was a change in my premium when I got my Instrument one year and Commercial the following year, it was less than 1% and when you have over 1,000 hours in make / model / tailwheel with no claims, I am not sure the insurance company has a lower rate. I just renewed my insurance for my -10 and it went down $38 to $1719 with AIG. On the Insurance Quote they show 5% off for belonging to AOPA, 25% off hull for being hangared, and if I had an IFR rating, 5% off. I have 422 hours in the RV-10 and insured it for $150K hull value. The premium would be about $716 if I went without Hull insurance looking at how the quote was calculated. I went thru USAA (Falcon Insurance is the Broker). Send a private message to Flying again! Find all posts by Flying again! I asked my agent what I could do to reduce my premium and she said nothing. When I asked about getting my instrument rating, she said that with over 1,000 hours of tailwheel time, and 800 in my RV, I was as low as it was ever going to go. …. Can you tell us what insurance company you use? Thanks, Allan..